I’m a Picky Eater! And Proud of It! There I was at a pizza party grazing off the veggie platter when a friend–for the sake of my future social life let’s call her Deborah–leaned across the table and announced loudly that her daughter who has celiac disease doesn’t need to be nearly as careful as I do. “Well she kind of does,” I explained good-naturedly while the other guests rolled out homemade pizza dough. Maybe I was just being overly sensitive that night, but it felt like Deborah was announcing to all the other guests, as well as the lovely hosts, that I was just being a picky eater. Guess what? I am a picky eater! I have to be. Otherwise, I’ll end up spending the evening in the restroom and the following day in the fetal position on the sofa. Yes Deborah, I really can’t eat the gluten-free pizza dough that’s been rolled out with a rolling pin covered in flour. 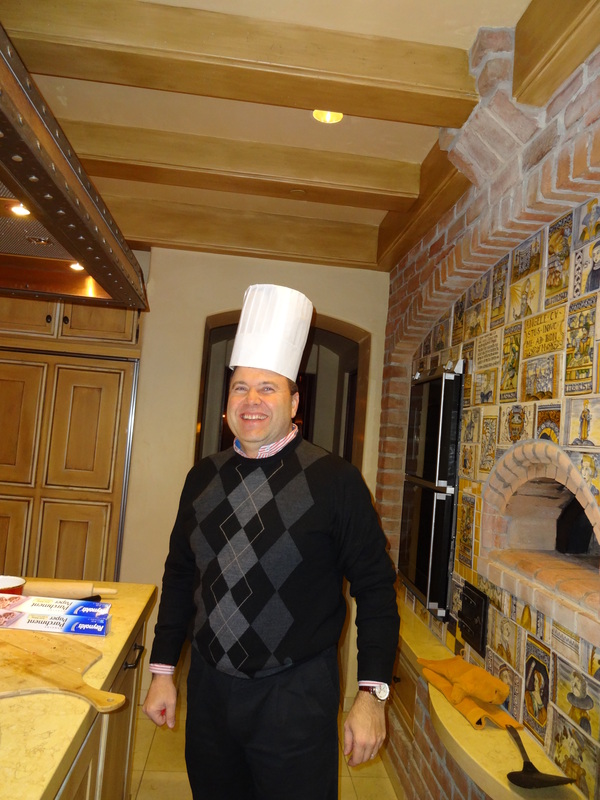 Nor can I cook the gluten-free pizza in the really cool pizza oven because it’s also been contaminated with flour. My husband doesn’t have CD enjoyed the pizza! There was no convincing this woman that her daughter with mild symptoms should follow strict contamination guidelines. She didn’t want to change her cooking habits or reorganize her kitchen. I went to bed that evening worrying about her young daughter who could possibly develop serious complications from uncontrolled celiac disease later in life. As those of us with CD know, “treatment” involves removing all gluten out of our diet and avoiding cross contamination. For those newly diagnosed or who are cooking for a loved one with CD or gluten sensitivity, learning to avoid cross contamination takes patience and practice. Following are some basic guidelines; even if you are an experienced gluten-free eater, it’s a good idea to review these. Always wash cooking utensils with dish soap and water before using—you never know where that fork has been! Maintain designated non-wheat cutting boards, strainers, and toasters. Color code if possible; at my house, gluten-free cookware is apple green. I also label items with a Sharpie and keep a gluten-free cupboard for my supplies. In our vacation home, I label everything I cook with, and when I think guests won’t follow the rules, I lock my cookware in an owner’s closet. Never double dip. If a contaminated spoon has been dipped into the peanut butter, don’t eat the PB. If the flour tortilla has been sunk into the salsa, don’t eat the salsa. If it looks like the crouton spoon at the salad bar has been swapped with the cucumber spoon, pass on the cucumbers. When eating food that’s typically cooked in oil, such a French Fries, ask if breaded items are cooked in the same oil. Some restaurants, such as Red Robin, are now cooking gluten-free fries in separate oil. Don’t be afraid to ask the server or chef lots of questions—whether eating at a restaurant, at a wedding, or at a friend’s house. Be specific about your needs. Can you cook my salmon on foil to avoid contamination? Can you leave the pasta out of my minestrone? If you are still getting sick even after taking cross-contamination steps, keep a food diary and consult a nutritionist/dietician. Gluten hides in so many products and can easily contaminate foods–don’t be afraid to ask for help! 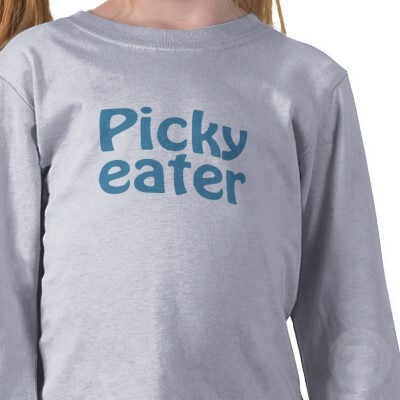 As for Deborah’s daughter, I hope she learns to be a picky eater. It’s nothing to be ashamed of. Oh my gosh, that poor child! Whatever happened to putting your childs needs first? I suppose it is down to ignorance, but surely one would assume a mother would invest some time into researching her daughters diagnosis.. Anyhow, thank you for sharing a very very important element of life with coeliac disease. It really can’t be said enough times, and it is the people who call us fussy eaters who need to brush up on their facts. Well said, Kristine. It’s funny how some friends really make the attempt to understand the disease and the cooking/eating protocol while others think it’s just fussiness. Thanks for reading and writing! I hear you! With my son’s long list of food allergies, I am often confronted by those that truly do not understand how much diligence it takes to keep my boys safe…I am often thought of as ‘crazy’, get many a ‘rolled eyes’ and yes, thought of as being ‘picky’. Why does something awful have to happen before people will believe what you are telling them is medically possible?